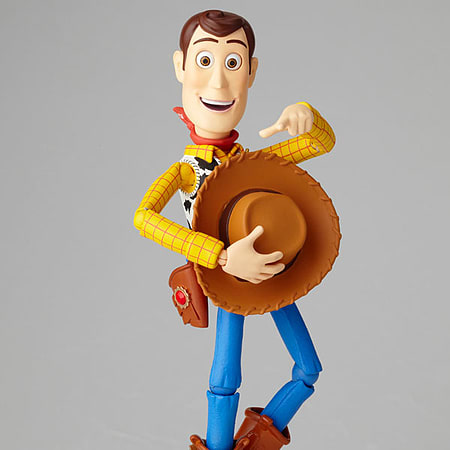 From the classic CGI animation Toy Story, Kaiyodo presents the Legacy of Revoltech Woody figure! This figure stands at approx. 150mm tall and has 17 points of articulation. An amazing rendition of Woody - just as he appears in Toy Story! His bright eyes can be adjusted to look in different directions, and you can enjoy changing his expression with the included option face! 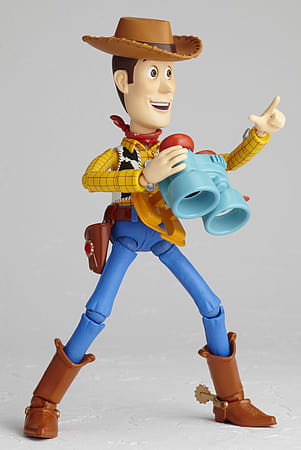 With Revoltech's famous Revolver Joints used in his construction and Woody's characteristic lanky body shape you can enjoy posing him in any position you can think of! 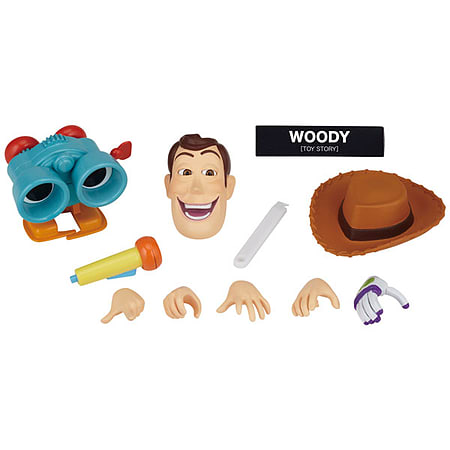 This figure also includes Lenny, the binoculars, who can fit into Woody's hand! 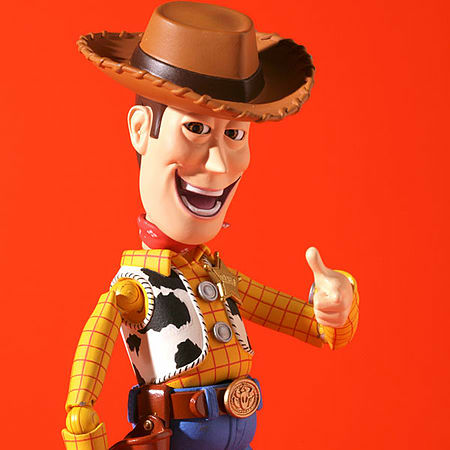 Woody's sheriff badge, gun belt and even the string in his back have all been perfectly replicated. Includes a wealth of optional hands so he can hold Lenny, a microphone or recreate any number of scenes from the movie! Also includes bonus parts to let Buzz (sold separately) hold Lenny as well! This figure is also the source of infamous Creepy Woody action figure meme. 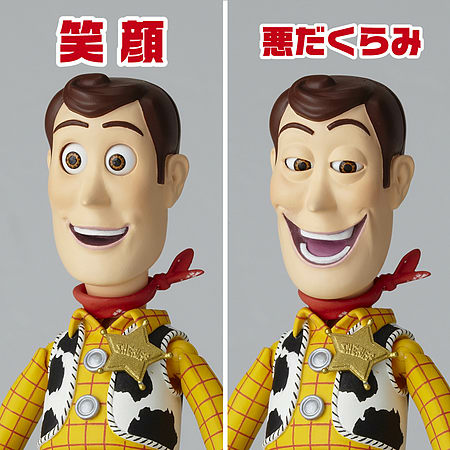 The alternate faceplate included, as well as the movable eyes, has made this figure notable for due to the strange expession used and the subesquent posing of these figures in humourous situations by members of Japanese and Western online communities.